Compensatory damages in a car accident can include lost wages because of the inability to earn, medical bills, the cost of vehicle damage, pain and suffering, or permanent disability. Depending on the situation, you may be able to get compensated for punitive damages. Home > Blog > What happens when you get into a car accident? Getting in a car accident is scary. It’s random and can happen to anyone. You just didn’t think it’d happen to you. Now you have to recover mentally and maybe even physically. The last thing you want to do is deal with the insurance company. You know insurance companies are greedy and may not want to give you the full compensation you deserve and need. Something to note is that Utah has a no-fault car insurance system. This means that if the accident was due to a negligent driver then you will submit your claim to your own insurance company. In order to file a lawsuit against the at fault driver then your injuries must meet a certain threshold. 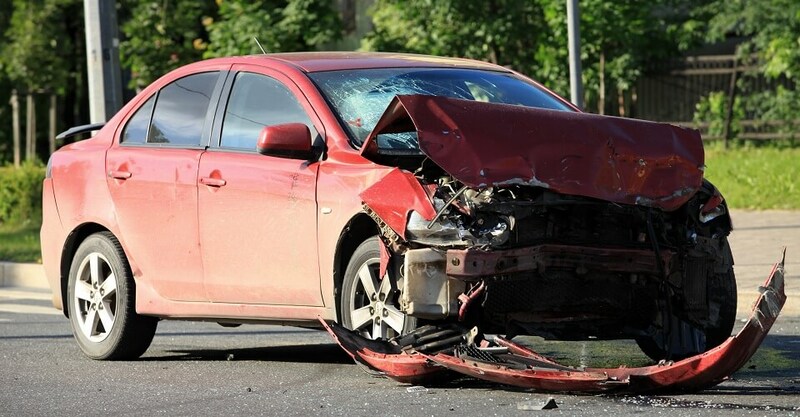 The injured driver or passenger must have incurred at least $3,000 in medical bills or have suffered from certain injuries including dismemberment, permanent impairment, permanent disfigurement, or permanent disability. When looking into filing a lawsuit for an at fault driver, it’s essential to know the types of damages you can be compensated for and the time limitations that come with car accidents. The two types of damages are compensatory damages and punitive damages. Compensatory damages are also known as actual damages. Compensatory damages in a car accident can include lost wages because of the inability to earn, medical bills, the cost of vehicle damage, pain and suffering, or permanent disability. Depending on the situation, you may be able to get compensated for punitive damages. This is used to punish the at fault drive for wrongdoing. Punitive damages are typically used in cases where the fault driver’s actions are seen as intentional or negligent in nature. The driver has to be operating in a way that is reckless, outrageous, malicious, or fraudulent. An example of this is if the driver committed a DUI which caused the accident. There are limitations and time constrictions in the state of Utah for taking suit. If the death of a loved is involved, then there is a statute of limitations on that. You must bring the suit for wrongful death within 2 years of the accident. For damages to your car that occurred from the accident, you will need to file suit within 3 years. For personal injuries you have suffered, for example a broken bone, you will have up to 4 years to file suit. If you are awarded punitive damages then, according to the law in the state of Utah, you will get the first $50,000. If the amount is more than $50,000 then the rest must be divided by you and the state. There are dangerous drivers out there on the road and its unfortunate that you had to encounter that. It’s horrible when this driver to the life of your loved one(s) away. You need justice, you need compensation. It won’t heal the wounds but will help you to rebuild. You want someone who can handle your case no matter how difficult it may be. When the insurance agency wants to be greedy you can have the Jardine Law Offices on your side that will help ease the burdens and get you the compensation you deserve. Schedule a free consultation today using this contact form or call us at 801-350-3506 for a free case evaluation.